A refundable $10.00 cash deposit will be required at time of in person registration. 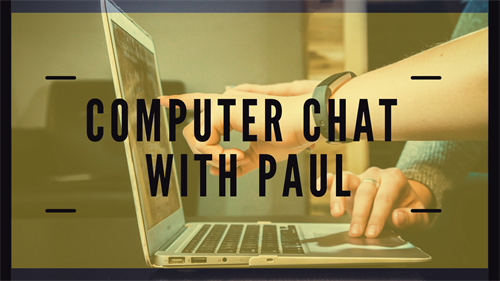 Join us for Computer Chat with Paul Goldman! Bring your problems, questions and laptops. Sessions are one hour each. Please come to the library to register for your individual session. A refundable $10.00 cash deposit will be required at time of in person registration. Cancellations must be made 48 hours prior to class to receive a full refund. All no-shows will forfeit their deposit as a donation to the library.